With the 2008/09 season drawing to a close, it is time to take a look back at where it all began. May has produced more agony than ecstasy so far, but with an FA Cup final on the horizon the month could still end on a high, however before we look forward to the Wembley showpiece, let CFCnet take you on a journey back through the timeline to August of last year. This is where yet another season of drama kicked-off. August is traditionally the time of optimism and endless possibilities. Back then we did not know anything about the future dangers of Swine Flu or Tom Henning Ovebro, and our new manager Luis Felipe Scolari was set to lead us to silverware, silverware, and more silverware. After the disappointment of Moscow, and the departure of Avram Grant, Scolari set to work on building his squad for the campaign ahead. Although his wings were clipped by Roman Abramovich’s newfound thrifty outlook, the Brazilian World Cup-winning boss was able to bring in Portuguese pair José Bosingwa and Deco. Several players followed Grant out of the exit door at Stamford Bridge, no longer deemed suitable for Scolari’s Chelsea, including Hernan Crespo, Steven Sidwell, Claude Makelele, Claudio Pizarro, Andriy Shevchenko, Shaun Wright-Phillips, Khalid Boulahrouz and Tal Ben Haim. August also saw a momentous signing by the club, although it was not a new face putting pen to paper. Frank Lampard signed a new five year deal with the club after months of speculation concerning his future. It had been believed that Lampard, struggling to come to terms with his mother’s recent death, was looking for a way out of London and the memories it contained with Inter Milan the likely destination, setting up a reunion between the free-scoring midfielder and ex-Blues boss José Mourinho. However the club managed to negotiate a satisfactory deal with Lampard which secured his long-term future with Chelsea. Didier Drogba, also rumoured to be on his way in the summer, confirmed his wish to stay with the Blues, while left-back Wayne Bridge signed a new four-year deal with the club. After a fruitful pre-season campaign – including a 5-0 trouncing of AC Milan – the Scolari era kicked off properly on the 17th August, with a home game against Portsmouth providing our first taste of the new ‘Blue Brazilians’ way of playing. Joe Cole opened the scoring, Nicolas Anelka added a second, Lampard netted from the penalty spot, and Deco scored an absolute beauty from long range. 4-0. Not bad for a season opener! Although Portsmouth were, in truth, terrible, we absolutely crushed last year’s FA Cup winners. It seemed that August optimism was increasing by the second. 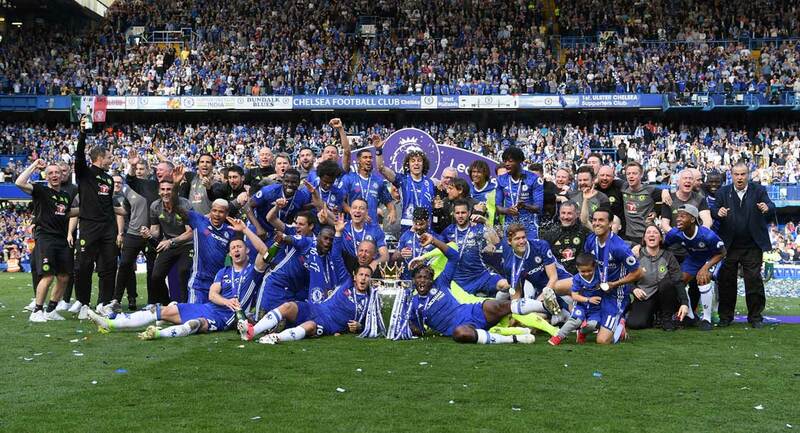 A week later Chelsea continued their winning ways but this time they were completely devoid of flair. After steamrolling past Pompey, the Blues struggled past Wigan at the JJB Stadium with an early Deco free-kick the difference between the two sides. Petr Cech secured the three points with some vital saves and Wigan stifled Chelsea and stopped them from playing. Still, a win’s a win, even if it was more belligerent than Brazilian. In between the Wigan win and the upcoming match against Tottenham, Chelsea’s Champions League group was announced. The Blues were drawn against Bordeaux, Roma, and Romanian side CFR Cluj in what seemed to be a comfortable group. Our third Sunday game in a row was anything but comfortable however. The usual three points at home against Spurs would have been the perfect end to an impressive opening month for Chelsea in the Premier League. However, Juande Ramos must have been watching the Wigan game as he too found out how to stop Chelsea from playing to their best. A scrappy Juliano Belletti goal gave us the opener but when Lampard inadvertently played in Darren Bent at the other end, Spurs equalised with their only real chance of the game. Although they were lacking in creativity, we were almost as devoid of ideas. With the month drawing to a close there was a bright light on the horizon. Real Madrid and Robinho’s relationship had suffered a complete breakdown over the summer and the Spanish giants had finally lost patience with the Brazilian playmaker. Robinho was allowed to leave to the highest bidder, and with Chelsea linked to the superstar it appeared as if he was Stamford Bridge-bound. In fact, it was definitely in the bag. Our official website was advertising Robinho replica shirts. So, although we may have had trouble creating chances against Wigan and Spurs, we had an ace up our sleeve. As August ended, all that was left was for Robinho to sign a contract and join the Blues as the final piece in Scolari’s Chelsea jigsaw. Next articleGOODBYE GUUS, GOODBYE SUNDERLAND?